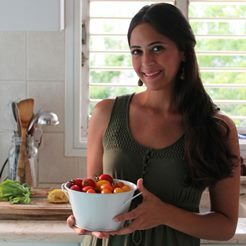 Making delicious tapenade at home is so simple and so delicious! It lasts a while in the fridge and is a great addition to savory muffins, breakfast omelettes, pastas, pizza toppings, grilled cheeses, and crostinis, and is perfect for dinner parties served alongside crackers. This zesty homemade tapenade recipe is so much better than the store-bought kind and is way better for you! 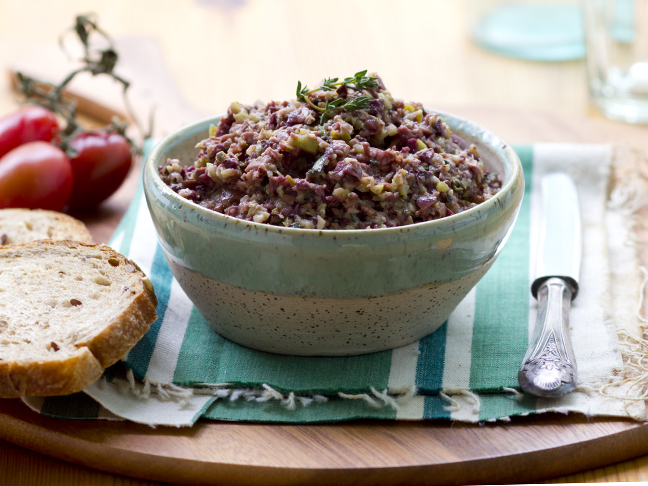 I love to throw together this simple tapenade to spice up so many weeknight dinners! Step 1: If your olives aren't already pitted, go ahead and pit them. 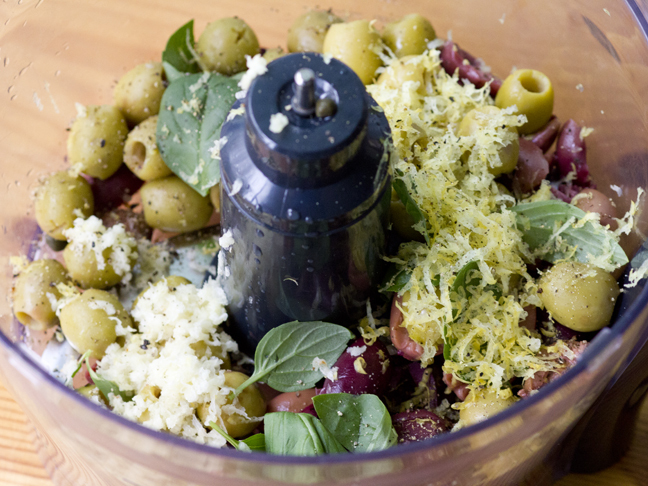 Add the pitted olives to the bowl of your food processor. Step 2: Add the capers, basil leaves, garlic cloves, thyme, olive oil, lemon zest, and freshly ground black pepper. Blend until the mixture is almost smooth; you want it somewhat chunky.